“Punishment is external. Conscience is internal. So what does that mean for parents? “Good news. God has created inside the heart of your child a piece of standard operating equipment that helps you do your job as a parent. Of course, the conscience isn’t a lot of help until it’s trained. But daily life regularly provides the opportunities to train the conscience. “Look for ways to get kids thinking about the conscience in their own lives. You can do that in part by talking about their motivations for doing what’s right. After all, if they only do what’s right to avoid punishment or to get a reward then they’re missing out on the benefits of the internal prompting of the conscience. “The reality is that maturity and responsibility require that a person do what’s right when no one is watching and when no apparent reward is available. The child just does it because it’s right. 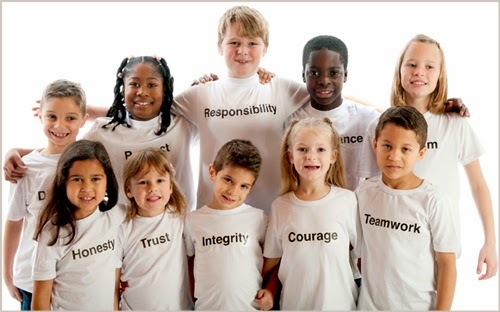 Now, children have the key to growing up and being responsible, and that’s to do what’s right even without external prompters. The Hebrew word for heart “Leb” is used more than 1,000 times in the Old Testament – 94 times in Proverbs alone! “Heart” has to do with our whole inner being – the center of our mind, our emotions and our will. It is the inner self, where God speaks to us through His Word and Spirit. How can we teach children from the inside out so they can know the difference between right and wrong—for life? “For those who are led by the Spirit of God are the children of God” (Romans 8:14). DiscipleLand’s family of resources forms a comprehensive Children’s Discipleship System™ – an intentional, relational, and transformational process designed to help children live from the inside out. When children experience Him, their lives will take on a whole new motivational paradigm. Discover the DiscipleLand difference – order your Free catalog.